FM unit being placed on trailer cradle in front of Assembly Building #2. Project Alberta was formally established within the Manhattan Project in March 1945, although its functions had been performed by various Project offices for months. Its purpose was to undertake the steps necessary to deploy the bomb into the combat zone, and to ensure that it was ready for delivery at the earliest possible moment. Approximately 55 scientists, engineers and military personnel worked in conjunction with the 509th Composite Group. That meant training bomb assembly teams and technical support personnel, providing logistic arrangements for the 509th's special weapons, and assembling and testing weapons and practice devices at Tinian. The "Fat Man" team that assembled and loaded the bomb included Charles P. Baker (Pit Team Co-Head), Vincent Caleca, Morton Camac, Lieutenant John D. Hopper, Henry Linschitz, Philip Morrison (Pit Team Co-Head), Roger S. Warner Jr., (Assembly Team Chief). Raemer S. Schreiber arrived on July 26, 1945 with a plutonium core and initiator on board C-54 "Green Hornet." On August 2, three B-29s arrived at Tinian from Kirtland Air Force Base, New Mexico each carrying a Fat Man-type high-explosive preassembly. 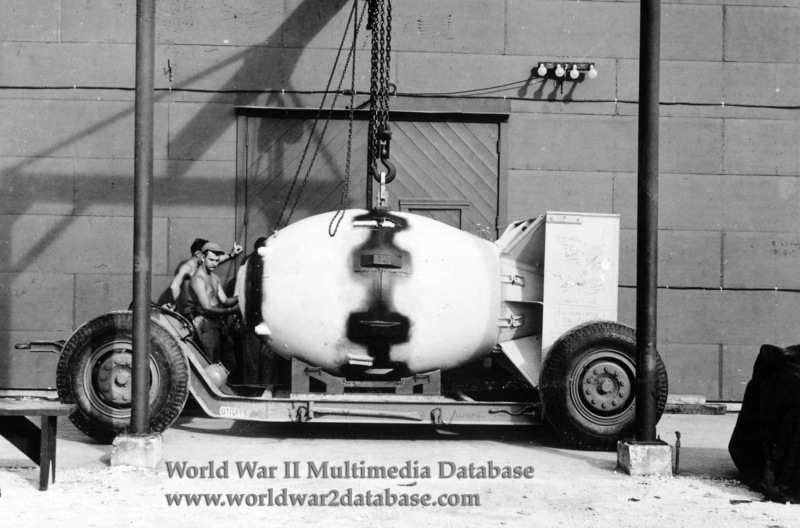 "Fat Man" (number F31) with high explosives and a nuclear (plutonium) core was assembled by US Navy Lieutenant Commander Frederick L. Ashworth. In the rush to complete the bomb, the firing unit cable was installed backwards, requiring Ensign Bernard J. O'Keefe to cut the connectors and reinstall them at the very last minute. F31 was assembled on August 7 and loaded into B-29 "Bock's Car" at 2200 Hours on August 8.